Who are some of the funniest, best, and most popular female YouTube celebrities? Like the rest of the world, YouTube is filled with hilarious, smart, talented women who, for all the appreciation they may get, are never appreciated enough. From celebrities, to hip-hop culture, to math, science, and anthropology, many of the most accomplished YouTube stars & personalities are females. This list of the top female personalities on YouTube goes beyond just female "YouTube stars", though they are certainly popular. Who are the best women on YouTube? Grace Helbig has worked for G4 and Attack of the Show! Her YouTube channel, ItsGrace, is filled with reviews, DIY projects, fan Q and A sessions, and brilliant collaborations with similarly awesome YouTube people, like Hannah Hart (Helbig's girlfriend and all-purpose partner in crime), Tyler Oakley, and Flula Borg. published a book last month. Dig Hanna Hart? Check out these other Weird YouTubers. We don't know why there are so many people named "Hart" on this list, but we guess you know what to change your name to now if you're planning to embark on a career of YouTube fame. 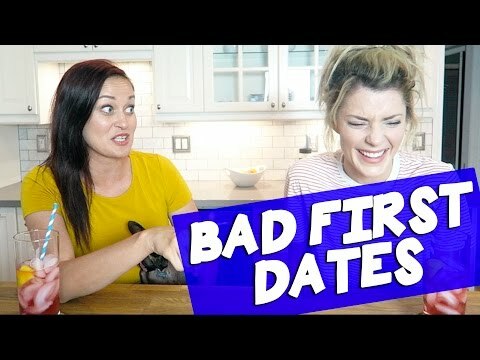 Mamrie collaborates quite a bit with Tyler Oakley, Hannah Hart (NOT her sister, just a fellow person-by-the-name-of-Hart) and Grace Helbig, and also runs her own comedy channel. "Buffy the Vampire Slayer" veteran Felicia Day is an actress, producer, writer, comedian, and all-purpose spokesperson for the geek community at large. Her channel "Geek & Sundry" humorously dissects the vagaries of the nerd scene, and she is also the producer, writer, and star of the incredibly popular webseries The Guild. #93 on Who Do You Wish Would Guest Star on the Muppet Show? #3 on Who Should Play Squirrel Girl in the Marvel Movies?